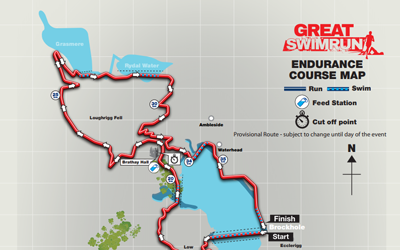 Enter the Great North SwimRun today! Based on teamwork, passion, and closeness to nature, teams of two embark on a seamless journey across the landscape, taking on land and water, as they navigate their way around the Short, Middle and Endurance distances. Individual participants are permitted for the short distance. 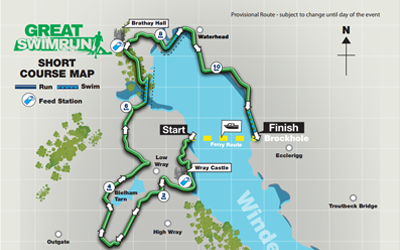 The John West Great North SwimRun is an opportunity to ditch the roads and the pool; limber up and embrace an off-road, open-water island-hopping adventure! Take a look below for more details and what's included in your entry fee. The briefing is compulsory for all Middle and Endurance participants, and optional for Short distance particpants. Event bibs and pack collection will be available at the briefing. 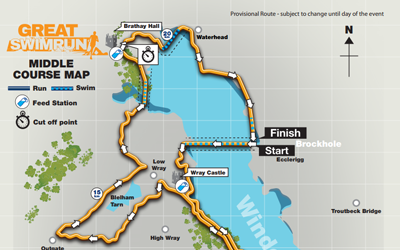 All SwimRun participants across the Short, Middle and Endurance distances must go to the main Great North Swim event site at Brockhole where you will need to check in and start the event. You cannot arrive at Wray Castle. As the parking at the Great North Swim site is limited to pre booked priority parking only, those wishing to use Park and Sail must use the 0700 service from Ambleside. There will be no service from Bowness for the SwimRun. For the Short distance single participants, as well as teams are permitted to take part. For the Middle and Endurance distances however, entries must be made in teams of two. SwimRun rules are simple - complete your chosen distance carrying everything you need from start to finish; this means wearing your trainers and wetsuit for both the land and water sections of the course! The Lake District National Park is one of the most awe-inspiring locations in the world. We’re hoping this event will encourage people from around the UK to see it from a new perspective and experience an exhilarating and challenging activity in their own backyard. 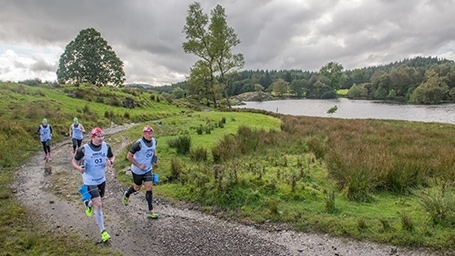 The event begins on the shores of Windermere, England's largest lake at 10.5 miles long (17km), stretching from Ambleside in the North to Newby Bridge in the South. The finish line of the event will be shared with the Great North Swim, where family and friends can watch all the action while enjoying food and drink from local vendors. Download the course maps in PDF or KMZ format. Please note: these may be subject to change.